Order food delivery with Room Service Singapore and Get the best food delivery in Singapore with Room Service! 15%OFF with min spend $25 for new customers. 10%OFF with min spend $25 for regular customers. Chicken Galore! 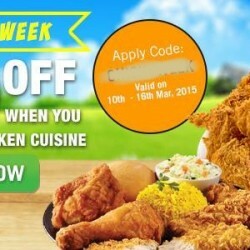 Enjoy $10 off all chicken restaurants on RoomService.sg! Simply apply code below to enjoy~ P.S. What's good? They have Nando's, 4 Fingers Crispy Chicken, Cheeky Chicky, Wingstop Singapore and many more! 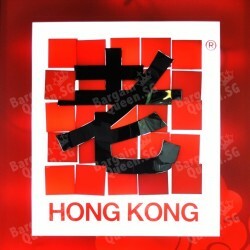 Order online from Old Hong Kong Kitchen Chinese New Year Delights from Room Service Delivery Singapore! 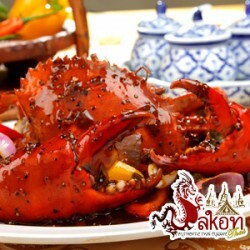 Enjoy special offer from their CNY special menu and get up to $30 off your order with coupon code below. Pre-order is available. Check out the list of new restaurants available on RoomService and enjoy $10 OFF your food order from the below listed restaurants with Coupon code below. Minimum order of $25 is required. It is South East Asia Week on RoomService. 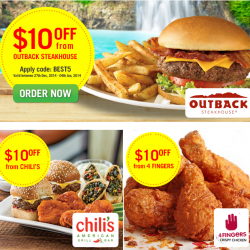 Enjoy $10 OFF your food order from the below listed restaurants with Coupon code below. Minimum order of $25 is required. What's better than free food delivery? A pair of free movie tickets! 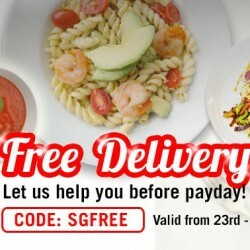 Get Free Delivery ( For lunch orders) +2X Free Cinemas Tickets (for first 20 customers only) on Room service delivery Singapore! 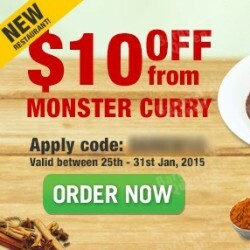 $10 off your food delivery on RoomService! Buy now and get $10 off your next order for Nando's, 4 Fingers Crispy Chicken, Baja Fresh Mexican Grill Singapore and Seasons Bistro. Hands up if you want Steak for dinner delivered to your doorstep! 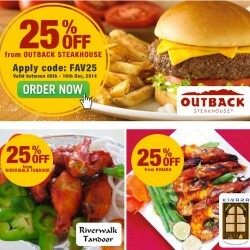 Enjoy 15% OFF on Roomservice delivery Singapore when you order from Outback STEAKHOUSE. 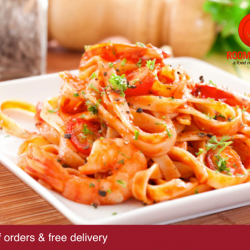 Now get the best food delivery in Singapore with Room Service Delivery! Apply the coupon code to get $10 off for new arrivals. Get $10 Off for all top 5 restaurants on RoomService with code! 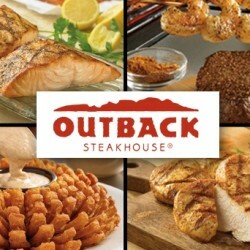 Order now on Room Service from outback, Chillis or 4Fingers, Nandos and California pizza kitchen and get $10 off! Room Service is having their Year End Sale. Apply the coupon code to save $10 when you order your food online! Order your food online with Room Service Singapore! Enjoy your fave restaurant fare right at home within 60 minutes with Room Service! Take 10% off total bill plus Free Delivery! Exclusively for UOB Cardmembers. Valid till 16 Nov 2014 with a min. order of S$25. Get 10% off your food delivery order on ROOMSERVICE delivery with coupon code! You can have your favourite restaurant delivered to you with Room Service Delivery! What's even better is that is that you can have it for free with our exclusive Promo Code SGFREE here. Have your city's best restaurants delivered with Room Service Singapore! 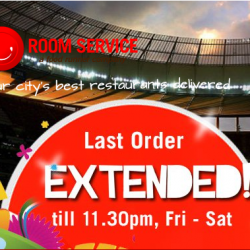 Room Service is offering 15% off on all late night orders made after 10:45PM exclusively for world-cup fans! Valid every Friday - Saturday till World Cup ends.